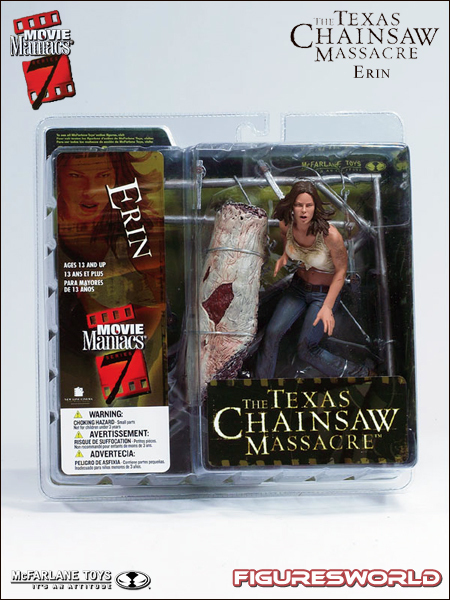 Erin from The Texas Chainsaw Massacre is 5 3/4 inches tall in running position on base. Overall diorama height is 9 3/4 inches. 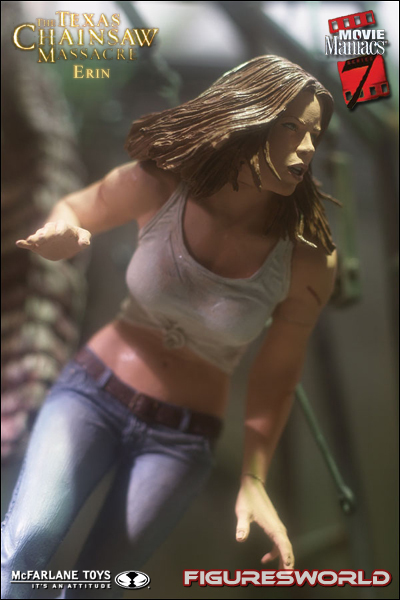 Comes with a multi-part diorama base that re-creates the meat cooler scene from the film. Package includes action figure plus a side of beef and plenty of hooks and chains. Leatherface ™ The Texas Chainsaw Massacre ™ River City Films, Inc. 2004. All Rights Reserved. 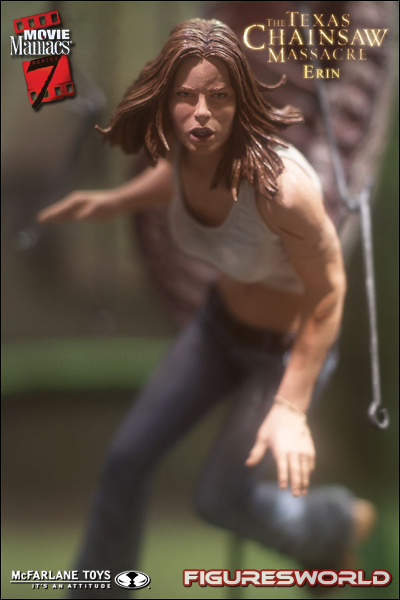 The Movie Maniacs marquee has grown considerably over the years, becoming one of the premiere action figure lineups in the industry. 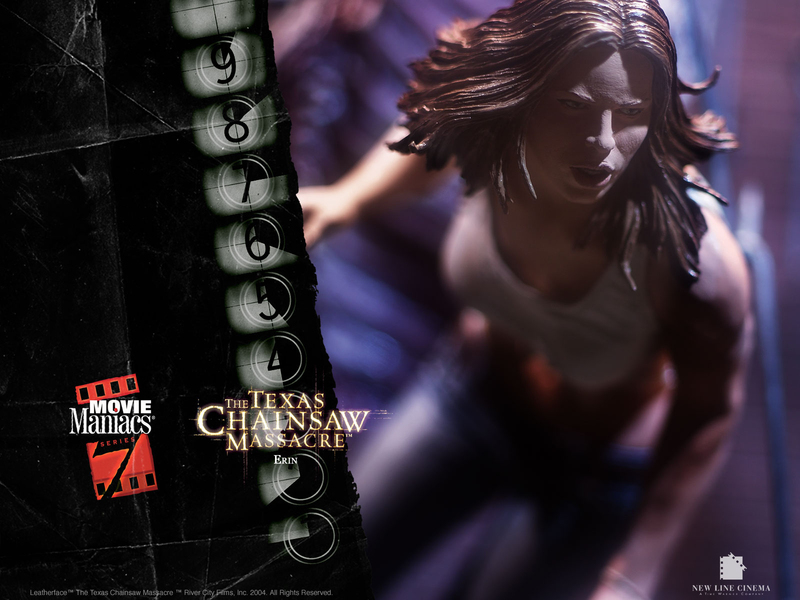 For 2004, the seventh Maniacs line features four characters from the 2003 remake of The Texas Chainsaw Massacre, and long-awaited characters from the classic films Robocop and Aliens. Height: 5 3/4 inches tall in running position on base. Overall diorama height is 9 3/4 inches. Articulation: Neck, biceps, chest and left thigh. 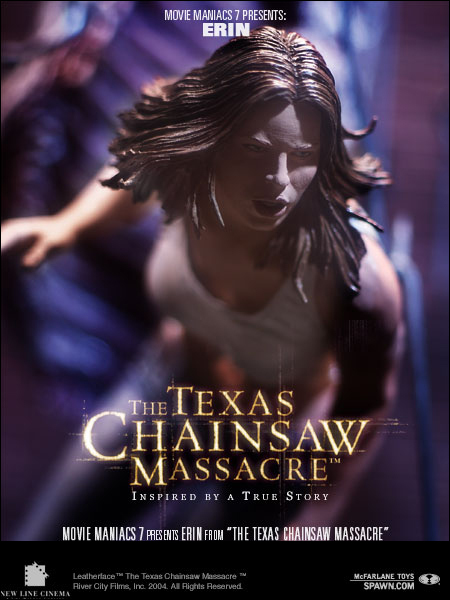 Accessories: The hunted victim of The Texas Chainsaw Massacre comes with a multi-part diorama base that re-creates the meat cooler scene from the film. Package includes fully detailed action figure plus a side of beef and plenty of hooks and chains.